If it is your goal to create a powerful, heart-centered and inspirational event for your organization, business or spiritual community, then Carol A. Briney is the perfect speaker for you. Carol will provide you with a highly customized, and relevant presentation. In this insightful, inspirational and humorous keynote Carol shares that gratitude is one of the most powerful forces in the universe. Living a life of gratitude and appreciation is a game changer. When we show appreciation for what we already have, it automatically draws more of what we are grateful for to us. Your audience will appreciate that you thought enough of them to hire Carol to share this life-changing information. Your Joyful Journey – The Importance Of Living A Happy Life. In this fun, entertaining and enlightening keynote Carol shares how walking the path of happiness can joyously expand your life. She explains how your happiness impacts every area of your life; from your business success, to how you treat yourself, to how you treat others. The audience will laugh and enjoy several of ah-ha moments as they listen to this powerful information. How To Move From Mediocre To Extraordinary in Your Business and/or Life. In this keynote or seminar Carol shares that you were created to be a success, and if you are not as successful as you would like to be in your life or business, then you have chosen to live your life as less than what the Divine has planned for you. Carol uses humor, stories from her own business and life experiences, and Divine insights to provide the tools and strategies that will empower the audience to joyfully expand their lives. To be passionately present in your life. Tap into your inner guidance. Carol will have you laughing while you are learning. She will share how when you change your attitude from fear and worry the circumstances of your life will seem to magically transform themselves. There is tremendous power in focusing on joy, prosperity, and success. In this classroom that we call earth, we have been taught that he or she with the busiest schedule and the craziest life is the most successful. Multitasking and working 60-hour weeks is often the norm for people. During this inspiring and high-energy keynote or seminar, Carol will capture your heart and lift your spirits with the use of insightful wisdom and straightforward, unpretentious and workable alternatives for your over busy and over cluttered life. 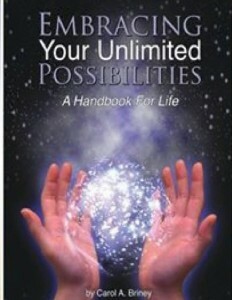 You will leave this session with a renewed motivation, and self-awareness that will inspire you to become a better you. Discover your priorities and values. Recognize that your intentions and thoughts create your life. Carol will mix her irreverent sense of humor with clear, compelling, and heart-centered insights. She will give you simple, yet powerful, steps to take so that you too can create the changes you desire. You will leave this presentation with proven strategies and the motivation to meet your fears and obstacles from a place of strength and wisdom. You Were Born To Stand Out – So Why Do You Work So Hard To Fit In? Carol is a rare blend of speaker. She has the ability to touch on potentially sensitive topics with humor and love. Carol has the special gift to be able to speak directly to the challenge while lifting you up and touching your very soul. Her sincere desire to help people to find and live their passion and joy shines through with every word. This keynote is filled with fresh new insights and strategies to help you learn to trust your power and abilities. Carol teaches that you don’t have to have it all figured out to get started. You were born to have a joyful and ever-expanding life. Shine your light so that others may see too. Rise above your self-limiting beliefs. Learn to focus on what you want. Tune In, Turn it on and Have fun. Carol is a well respected and in-demand speaker. She promises that she will deliver a clear, concise message that is timely, realistic, heart-centered and tailored to your group’s particular needs. Learning to Love Yourself – Moving Out of Your Own Way! In this intense, yet fun and heart-centered keynote or seminar Carol gives people a blueprint for how to live a life of greater results, meaning and impact. Imagine what little opportunity you have for a successful life if you do not think you are worthy. Carol teaches that all success in life is an inside job! You will laugh; you will cry, you will learn that you can run away from yourself, but you cannot hide. Because everywhere you go – there you are. Start loving yourself right where you are today. Dust off your connection to the Source of this universe. Rise beyond your self-imposed limitations. Focus on success – not failure. If you are ready for a speaker, who will not only touch the heart and soul of your audience but will also empower them to move from mediocre to extraordinary. Book Carol to speak at your next event. 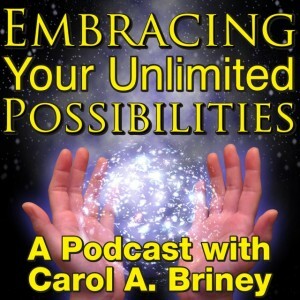 Carol A Briney is an international motivational speaker, a spiritual trainer, an author and a #1-rated podcast host. She joyfully resides in Pittsburgh, Pa.